One time use quality parchment paper sheets that come in packs of 36 or 100 sheets, great for easy clean up. 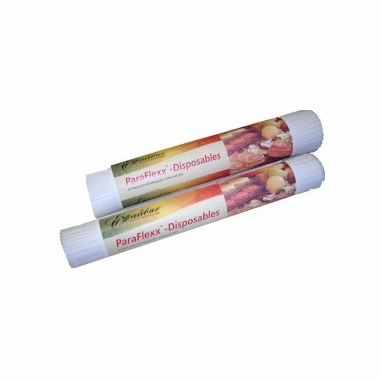 Perfect for fruit rolls and leathers, pureed fruits, & yogurt. Can also be used as baking liners in pans or trays. Each sheet measures 11" x 11" to fit the trays on the Excalibur model ED-2400 dehydrator.